A five-game slate two days before the all-star break is the NBA equivalent of high school in the run up to spring break… the focus may be uneven so tread with caution. After getting pounded on the Pacers’ home court last Tuesday to the tune of 136-94, the Lakers appear to have turned a corner and decided to treat the rest of the season as they would the playoffs. Last Thursday that meant riding their starters for a much heavier workload than Brad Stevens’ Celtics as they stole a 129-128 game in TD Garden. On Sunday that meant starting Reggie Bullock over Rajon Rondo and having Lebron James initiate the offense for most of the competitive portions of their 143-120 loss to Philadelphia. The Hawks have enhanced their ability to run at a breakneck pace by expanding their rotation with at least ten players seeing ten minutes a game this month and keeping their starters under 30 minutes a game as possible. Their most likely path to an upset this evening involves a couple of their young guns getting hot and running the Lakers starters to exhaustion in a game slated to have a 237.5 total. With Jeremy Lin off the books and heading to Toronto, Kent Bazemore and DeAndre Bembry should minutes running the point when fast-improving Trae Young is off the court. The new and improved 76ers have jumped out to a 2-0 record with home wins against the Nuggets and Lakers. Now the Celtics are coming into Wells Fargo Center for a nationally televised showdown of Eastern conference powers without superstar Kyrie Irving. The national narrative surrounding these teams has Philadelphia as an emerging juggernaut and Boston as a team that’s disappointed on the season and the only contender in the east two didn’t make a major push to improve at the trade deadline. And while they’re a kernel of true in there to be sure, the Celtics has been much better than the casual fan might assume as they’ve played to the third best pythagorean record in the NBA this season — 41-15. First off, the Celtics beat the 76ers in last season’s playoffs without Kyrie Irving or Gordon Hayward who’s begun to show flashes of the player he was in Utah, although they’re just flashes and like Paul George’s recover we’re unlikely to see the real player until he’s another year removed from the injury. The second factor at play is Brad Stevens who should be able to create a bunch of easy baskets running sets to exploit Philly’s new players who are still being integrated into their defensive systems. Kyle Kuzma put up 23 in the first quarter on Sunday against Tobias Harris and Mike Scott, the same matchup Jayson Tatum’s likely to see. What makes me hesitate on taking the Celtics and the points is Marcus Morris’s rant after the loss to the Clippers… it’s never a good sign when locker room frustrations boil over into the media, particularly with a team who doesn’t really have a leader so long as Kyrie Irving plays coy about his commitment to Boston. The Magic are riding a three game win streak into New Orleans to face a Pelicans team that kinda/sorta has Anthony Davis back in the fold. Jonathan Isaac appears to have taken a real step forward and he’s playing the best basketball of his life over the past month, Khem Birch has been adequate as a backup center in Mo Bamba’s absence and former Kentucky Wildcat Isaiah Briscoe has supplanted Jerian Grant as Orlando’s 1B point guard. This game hinges on two factors — how many minutes is Anthony Davis willing to play for his soon to be former team and how many of Evan Fournier and Terrence Ross’s many shots fall. Gun to my head, I’d take the Magic and the points. Thankfully no one’s putting a gun to my head as I don’t have a lot of confidence in either side. The Spurs and Grizzlies have the lowest total of the evening by a whopping 15 points in a matchup that almost no one would care about if not for gambling and fantasy implications. The Spurs have dropped their last four games and the Grizzlies are a shell of the poor team they began the year as. The Grizzlies player, Michael Conley, gets their best matchup as Derrick White is still out so he should feast on the defense of Patty Mills and Bryn Forbes. Memphis is running out a wing rotation of players no one wants any more in Avery Bradley and Justin Holiday, so DeMar DeRozan and Rudy Gay hold enough of an advantage that San Antonio should be able to put San Antonio back in the win column. The second national game features the season’s third meeting between the Jazz and Warriors. The first two games have gone to the home team by a combine six points. The Warriors are 9-1 over their last ten games, but only 5-5 against the spread over the same interval. The Warriors are also 11-16-1 against the spread at home and 22-27-1 against the number as favorites. Betting against the Warriors covering has been a winning play this season, but it’s difficult feel any confidence taking a team that doesn’t have the personnel to switch against the best shooting team the world has ever seen. The Jazz have been funnelling some of Derrick Favors’ minutes to Jae Crowder of late and Royce O’Neale is getting some of the run that Kyle Korver was seeing a month ago, but this is largely a match-up of known entities at close to full strength. 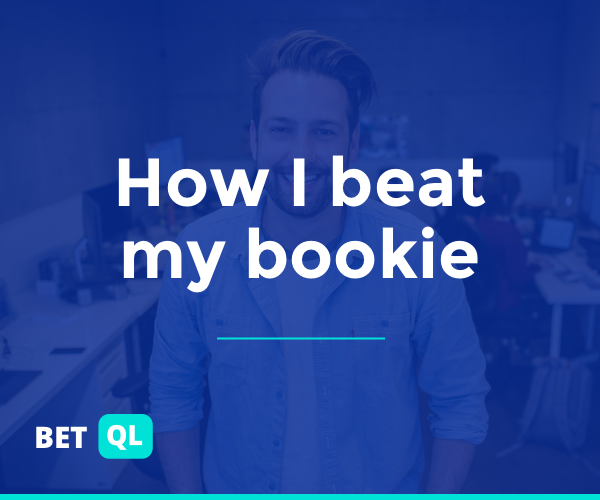 Odds and lines are subject to change, the easiest way to get up to the second updates on line movement and betting trends is to become a BetQL subscriber.